When we were in grade school, and whenever we botched up our lessons, our teacher would shout, “Go home and plant camote!” It was the low pits when we were thrown that hiss, because then, camote or sweet potato (Ipomoea batatas) was a poor man’s diet. Never mind that camote is the best food for humans, as it has lots of vitamins and minerals and a low glycemic index compared to rice, for example. In the United States, camote is a commodity and is ubiquitous in groceries and supermarkets. Camote on a grocery shelf, Brooklyn, New York. In our quest for livelihood support for Guinaronanhons in the wake of the total damage wrought by Super Typhoon Haiyan (Yolanda),the production and utilization of camote for value-added products are too good to be ignored. For one thing, its culture demands less toil and inputs. And harvesting the camote tubers can be done continuously starting at three months. Another plus is the young camote stems, which is a perfect vegetable. For this paper, we are going to focus on making wine and beer from the camote, with the spent mash going to feed our livestock. In effect, with this project, we are hitting two birds with one stone, as it were. For our purpose, we define camote wine as an aged, fermented drink of 14 percent alcohol content. Camote beer, meanwhile, is a fermented fizzy drink with 5 percent alcohol content. Camote shandy is a fizzy beer variant, of 5 percent alcohol content, and with natural fruit flavors thrown in. 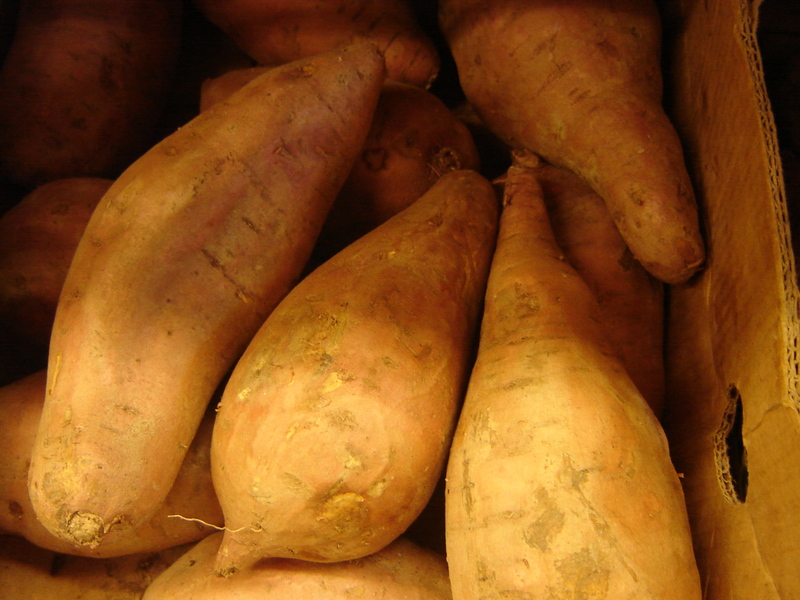 As a whole, camote has the highest starch content among root crops, averaging 30 percent (Duvernay, William Hauser. 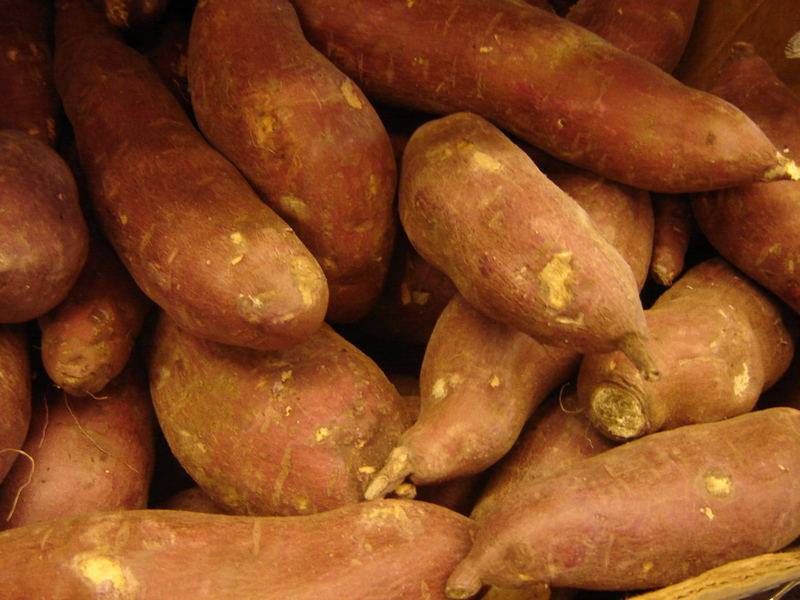 Conversion of Industrial Sweet Potatoes for the Production of Ethanol. NCSU, 2008). The basic assumption is thus: 30 grams of cooked mashed camote in 100 milliliters of water yields 12.1 ml of alcohol. So that to make a wine of 14 percent alcohol, we increase the camote weight to 35 grams per 100 ml of water. On the other hand, to make a beer/shandy of 5 percent alcohol, we decrease the cooked camote to 12.5 grams per 100 ml of water. And to maximize alcohol conversion, we employ either glucoamylase or malt during mashing. For camote shandy production, we introduce the desired fruit juice at step 3. To add fizz to the beer, we bottle the beer 3/4 of the fermenting time, allowing 1/3 for complete fermentation in the bottle (add a little sugar, if desired). Ageing of the wine/beer should at least be three months before bottling and marketing. As for the spent camote, we wash it first and recook it before feeding to livestock.